Goldcorp (TSX:G) (NYSE:GG) has dared its fellow Canadian gold miner and target of a $2.6 billion unsolicited takeover bid, Osisko Mining (TSX:OSK), to find a company willing to top its proposal, adding it would rather walk away from the deal than pay more than what it has already offered. In an interview with Bloomberg, Chairman Ian Telfer said he is sure Osisko doesn’t have any other bidder knocking at its door, so his company doesn’t see the need to bid against itself. The cash-and-stock bid for the Montreal-based gold miner is currently valued at Cdn$6.42 a share, 13% less than Osisko’s stock price, suggesting investors anticipate a higher offer. Osisko rejected Goldcorp's bid as too low, and has been building a case that its shareholders stand to benefit the most if it remains a standalone company. 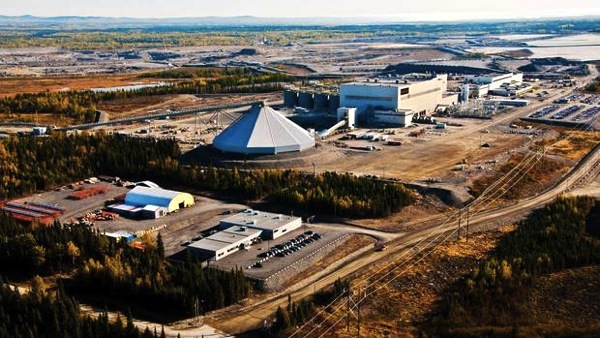 Vancouver-based Goldcorp, which is seeking access to access to Osisko’s Malartic mine in Quebec, already has a gold project in the province – Éléonore, set to begin production later this year. If it goes through, the proposed deal will make Goldcorp, which already is world's largest gold miner by market capitalization, the No. 1 gold producer in the province of Quebec. Osisko shareholders have until April 4 to tender their shares to Goldcorp's offer.